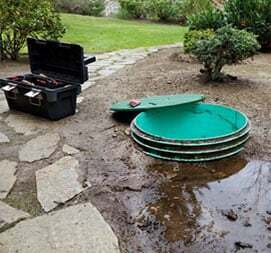 If you are looking for a professional septic tank cleaning service, you are in the right place. 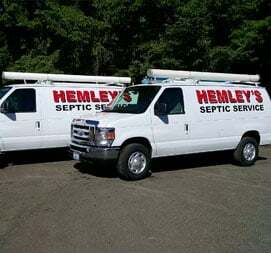 Hemley’s Septic specializes in the provision of septic services. 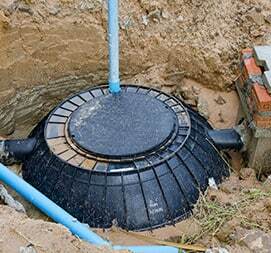 We offer comprehensive septic system cleaning, installation, repair, and maintenance. Our team of passionate septic system cleaners is dedicated to the provision of the most efficient and professional service. Hemley’s Septic is insured and licensed to ensure your protection. And, our team has the right tools, skills, and experience to do the job. Contact us anytime to schedule your septic tank inspection or to get an estimate for your cleaning service. What makes our septic tank cleaning service stand out? Our passion for what we do and dedication to providing an efficient, reliable, and professional cleaning service to both commercial and residential clients sets us apart. We are the most trusted local septic tank cleaners in Washington. The quality of our service has made us the septic specialists that property owners in Washington and its environs call whenever they need help with their waste management systems. We are knowledgeable about this area and experienced in cleaning septic systems in the region. That means we know common problems that face septic tanks and how to address them while offering our cleaning service. We provide a comprehensive septic cleaning service to our clients. That means we inspect, pump, and clean septic tanks. We also offer general maintenance and repairs upon request. 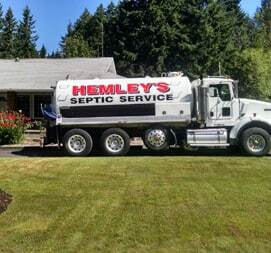 The community knows Hemley’s Septic for experience, reliability as well as efficiency and effectiveness of our service. Perhaps, you have a tight schedule yet your septic system needs cleaning. Don’t worry. Just give Hemley’s Septic a call. Our septic experts will take a very short time to pump and clean your tank. And, we won’t charge you an unreasonably hefty price for the service. Whether your tank and septic lines need inspection, clearing or unclogging, our team will do the job. We have invested in the most sophisticated septic service tools to ensure that every job is done efficiently and professionally. Our goal is to help you maintain an optimal performance for your septic system and extend its lifespan. Remember that most septic problems can be prevented even before they start through proper cleaning and maintenance of the system. We offer a septic tank cleaning service in Washington with a focus on extending the lifespan of septic systems and enhancing their performance. If you got a septic system, you need to make sure it’s maintained properly, or it will cause issues. We offer regular cleaning services with drainage. This helps to prevent any costly damages to the whole system. Grease Trap also needs regular cleaning and maintenance. Regular cleaning contributes to getting rid of the smell, waste material, and unsanitary conditions! If you depend on a rainwater collection system for water, then you need to have your tanks cleaned more often. This keeps the water clean of contaminants and sludge. Our Septic Cleaning safely disposes of waste material. This includes everything from drilling mud, gray water, concrete slurry, pond cleaning, etc. Hemley’s Septic gives you a chance to work with a professional team that provides a comprehensive range of septic system cleaning solutions. We help you get rid of buildups, clogs, and other septic problems. We dispose all waste materials from your septic tank in a professional, safe, and acceptable manner. Our customer care representative is waiting. Give us that call to hire the best septic tank cleaning service now!